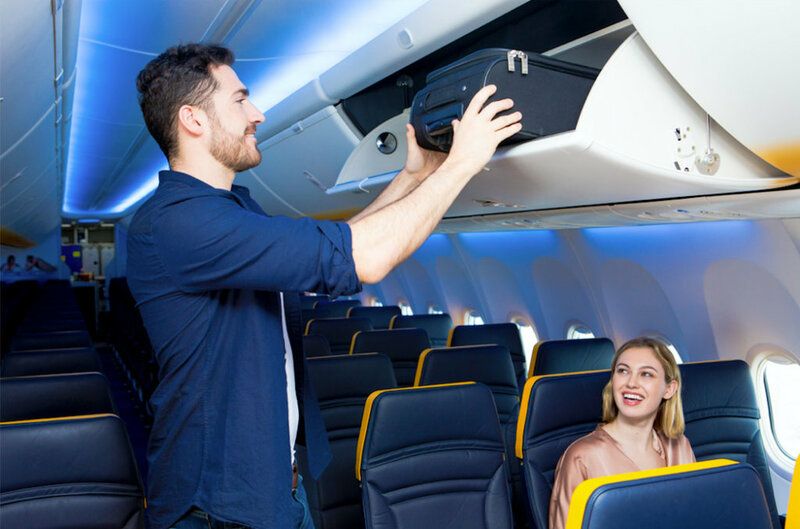 Ryanair today (4 Sept) reported that over ten thousand customers have switched to its new lower cost £8 x 10kg checked bag (from the £25 x 20kg bag), as part of its new cabin baggage policy, in the first 3 days since it went live on the Ryanair.com website on 1 Sept for travel on/after 1 Nov.
– If non-priority customers want to bring a 2nd bigger (wheelie) bag they can buy a lower cost 10kg check bag for £8 at time of booking (currently a 20kg bag costs £25). This 10kg wheelie bag must be checked in at the airport bag drop desk. – All customers with checked bags can now switch from the £25 x 20kg bag to the cheaper £8 x 10kg checked bag.